Today, I am happy to welcome Mary Anne Yarde to my blog. 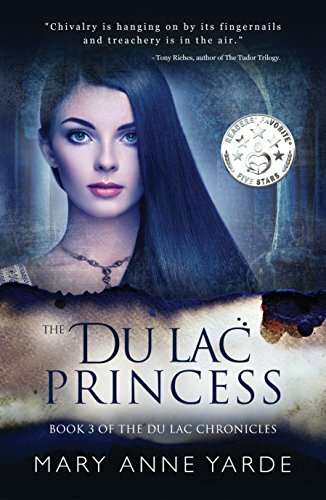 Mary Anne Yarde is the multi-award-winning author of the International Bestselling series — The Du Lac Chronicles. Yarde grew up in the southwest of England, surrounded and influenced by centuries of history and mythology. 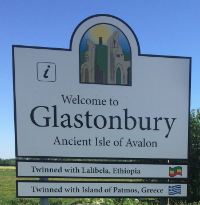 Glastonbury — the fabled Isle of Avalon — was a mere fifteen-minute drive from her home, and tales of King Arthur and his knights were part of her childhood. Welcome, Mary! Hello everyone, and thank you, Eric, for inviting me on to your fabulous blog! My name is Mary Anne Yarde, and I hail from a village just outside of Bath, England. I grew up surrounded by the rolling Mendip Hills in Somerset — the famous town of Glastonbury was a mere 15 minutes from my childhood home. I lived in Cardiff for a while, but Somerset is where I belong. I have been writing for around 13 years. But I didn't really take my writing very seriously until four years ago. 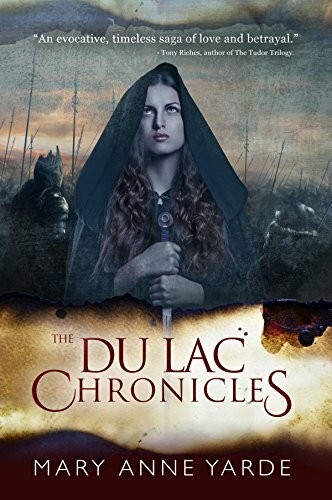 I published my debut novel, The Du lac Chronicles, in 2016. What is a little known detail about yourself that readers might not know? I have a dog called Aramis. What originally got you interested in writing this series? Was there a defining moment, or is this something you’ve been fascinated with for a long time? "Welcome to Glastonbury. The Ancient Isle of Avalon." There is no getting away from Arthurian Legend if you live in Glastonbury! What an abrupt and unsatisfactory ending to such a wonderful story. I did not buy that ending. So my series came about not only because of my love for everything Arthurian, but also because I wanted to write an alternative ending. I wanted to explore what happened after Arthur's death. Do you believe that King Arthur existed? What a loaded question for an Arthurian enthusiast to answer. So I am going to be very vague and say yes and no. Do I think Arthur was a fifth-century King? No. Was there a general called Arthur running around at the time? Possibly. He may have even been a Roman General. Who knows? When we study Arthurian History, we are in fact dealing with Folklore and that is not the same as excavating relics. I would like to think Arthur existed, but the jury is still out, I’m afraid. There are many books about King Arthur. Can you tell us three (3) things that set your novels apart? 1.) My books are set after the death of King Arthur. 2.) Not all the Knights are heroic, and some of them are not even Christians. Ahh! 3.) You will meet some "historical" characters from the past — not all of them are legendary! Do you have a favorite Arthurian character? 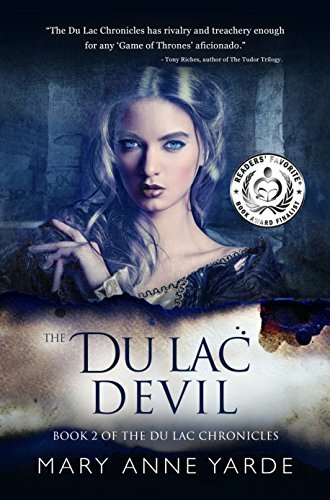 I really should say Lancelot du Lac, as my books are based on his story. But in truth, one of my favourite characters is Sir Gawain. Gawain And The Green Knight is one of my all-time favourite Arthurian stories. I am currently working on Book 4 of The Du Lac Chronicles. To learn more about Mary Anne Yarde and her work., please head to her website or follow her on Twitter, Facebook or Goodreads.